Pete Youngman's longtime team and co-workers chose to express their thanks in a YouTube video in early 2017. His "forward thinking and innovative ideas" as team trainer and then director of sports medicine helped reduce team injuries to among the lowest in the league, one said. Another cited his leadership. "Pete's always leading the way," head strength and conditioning coach Ramsey Nijem said in the video, "and I think his track record in the NBA is reflective of that." In a training career that started in minor league baseball, Youngman made the jump in 1993 to basketball and the NBA's Sacramento Kings. He started as an assistant trainer, became head trainer and took over as director of sports medicine in 2011. He continues in that post in 2017. Youngman's career as a trainer in pro sports began out of Ithaca College, where he majored in physical education and minored in health exercise science. He joined the Red Sox organization in 1985 as trainer at short-season Elmira. 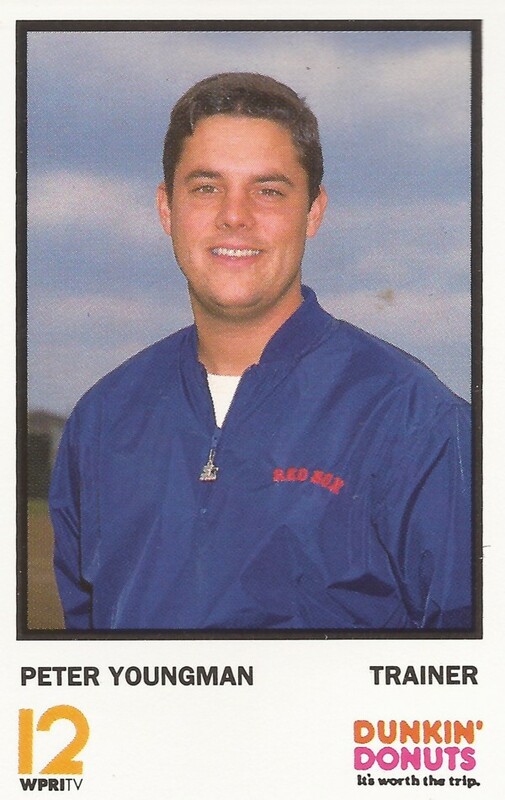 He credited another Red Sox minor league trainer, Bob Chadwick, with helping him get the job. Youngman then served two seasons at single-A Greensboro, another at single-A Lynchburg and 1989 at AA New Britain. He served as trainer in 1990 at AAA Pawtucket. Youngman then joined the Kings in 1993 under longtime head trainer Bill Jones. Youngman counted himself fortunate to work under Jones, according to FanFare Magazine. "I got real lucky to get with Bill," Youngman told the magazine in 2004. "I really learned from him. I saw how he operated." Youngman continued with the Kings and made head trainer in 1996. He served in that role for 15 years before rising to the director of sports medicine post. He received his master's from California University of Pennsylvania in rehabilitation science in 2013. As director of sports medicine, Youngman oversees the entire team athletic training facility. He works with the professional medical staff in monitoring, diagnosing and treating injuries, according to the team. In 2015, he served as head athletic trainer for the Western Conference at the All-Star Game in New York. He's also active on Twitter in 2017, @_petethetrainer. After the organization played the video thanking him for his work in January 2017, Youngman tweeted his own thanks for the video and response. "Speechless...not enough characters on twitter to thank all the characters involved last night," he wrote. "Thank you all for the video and kind tweets!"